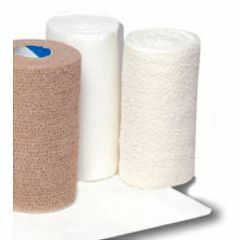 AllegroMedical.com presents Profore Litea multi-layer compression bandaging system comprised of a wound contact layer and three bandages, offering reduced compression from the original Profore Multi-layer High Compression Bandaging System. Specifically designed for the management of "mixed" etology leg ulcers where the patient has been identified to have some degree of arterial impairment which prevents the use of full compression. Kit contains everything necessary for the application of graduated compression therapy. I have been on a walker for years. First it was used tennis balls, then it was the gliders that you slip into the tubing of the walker. None of them worked for me because I was moving around a lot. Then I found your gliders by chance and BINGO!!!! perfect fit because you can screw them in instead of just sliding them into the tubing. They are also long lasting and can take a good beating on any surface. I just wore out the second set and I am working on my third set, so it's time to re-stock because I intend to keep on moving.